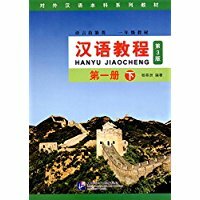 Originally written in English, this book gives an academic introduction to the basic theory and practice of traditional Chinese internal medicine. It is intended for overseas medical practitioners as well as those who are interested in traditional Chinese medicine, and uses modern research to explain traditional Chinese medicine's approach to diagnosis and treatment in internal medicine. The book's general introduction stresses the basic ideas of internal medicine in traditional Chinese medicine, general principles for making diagnosis and administering treatments as well as diagnostic rules commonly used in internal medicine. Basic ideas covered include yin and yang, zang and organs and pathogeny and pathology. The authors put these ideas into the contexts of both classical definitions and modern scientific research. Subsequent chapters individually I deal with common diseases and their pathogeny and pathology, differentiation and treatment as well as the modern research conducted on the efficacy of various treatments. These treatments include herbal prescriptions and highly effective, ready-made ones. Diseases treated in these chapters include: cold, bronchitis, bronchial asthma, congestive heart failure, shock, myocarditis, coronary heart disease, arrhythmia, hypertension, peptic ulcer, chronic gastritis, chronic colitis, viral hepatitis, cholecystitis, cholelithiasis, pancreatitis, aplastic anemia, leukemia, thrombocytopenic purpura, thyroidism, diabetes mellitus, and tumour. The appendix includes a brief introduction to commonly used traditional prescriptions. New Hardcover 19.5*26.5 cm, 182 pp.